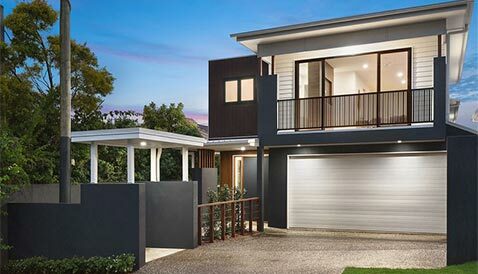 At Capitol Coatings, we strive as an elite Brisbane painting company to provide exceptional residential, commercial and body corporate work to our clients. Our reliable team of expert painters have a proven track record completing jobs within Brisbane, Gold Coast and Sunshine Coast area. Since commencing in 2015, Capitol coatings has expanded rapidly as a family owned painting company within South East Queensland. With a combined 20 years’ experience in the industry, our company is prepared to accommodate any painting scenario. Whether it’s painting luxury residential homes, commercial buildings, body corporate maintenance, or a simple roof restoration, we can easily transform any property of yours to look and feel brand new that is guaranteed to last. Two brand new built houses were painted with 6-8 painters completing the work. We used Dulux painting products to complete this job and the builders and development team were extremely happy with the work done.